A ‘pernicious’ county lines drug dealer had eight months knocked off his jail sentence – for writing an apology letter. 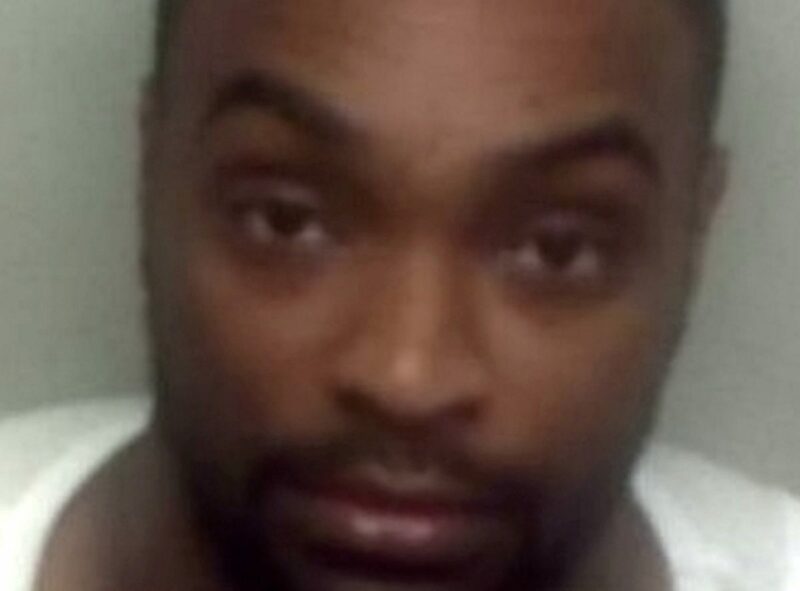 Lamar Blackstock, 27, was collared by police with a stash of heroin and cocaine in his car, and a lock-knife. Musician Blackstock was caught in ‘a car from Croydon’ with £780 in cash and Class A drugs prepared ‘for sale in wraps’, in Strood, Kent, last summer. Police pulled Blackstock over on June 8 last year as he drove the rental car throughout Kent to move the pre-prepared drugs. His Honour Judge Phillip Statman said that the case ‘was one of street dealing’ with a clear ‘financial motivation’. He said: “This is a case of street dealing – you were stopped by police in a hired vehicle that associated itself with Croydon. “You were stopped in Strood, you come from London, concealed in the central consul of the car were drugs and a knife. Maidstone Crown Court heard on Friday that the dealer had an addiction to morphine, which ‘left him vulnerable to coercion’. He was caught with a knife twice, including once when he was just 14-year-old – and he was arrested in relation to kidnapping and drugs in 2017. Defending, Arlette Piercy said that Blackstock had ‘stumbled spectacularly’ after a spell of what she termed ‘good behaviour’. She said: “He has come today with quiet resignation. “He listened to advice and has taken positive steps since then. “There was an element of anger and resentment – over a factor of undetermined DNA on the drugs. “He has found it hard to accept his culpability. He was struggling to come to terms with his own drug problems. Ms Piercy said that the ‘prevalence of county lines in the press’ should not affect the way Blackstock was sentenced. She said: “The fact that it is county lines reflects the way drug dealing has developed – it is not a defining feature. The court heard how Blackstock attended rehabilitation classes, focused on ‘his music’ and wrote a letter of apology to the judge. Judge Statman gave the dealer ten minutes with his family before his ‘inevitable custodial sentence’. He said: “Drug supply is prevalent and raises issues that on county lines. “This can be an emotive expression for understandable reasons. “In regards to the background, I respect that you have a history of addiction, you are vulnerable, you are from a working family. “The pressure is put on from those above you in the train to pay them back, no doubt a bit is left on the side to feed your addiction. “Passing away from your individual circumstances, you know just how pernicious this drug dealing is – it draws in people like you. “You are a man of some intelligence and you quite clearly have some gifts, particular your music ability, they go to your credit. He said: “I bear in mind your genuine remorse.